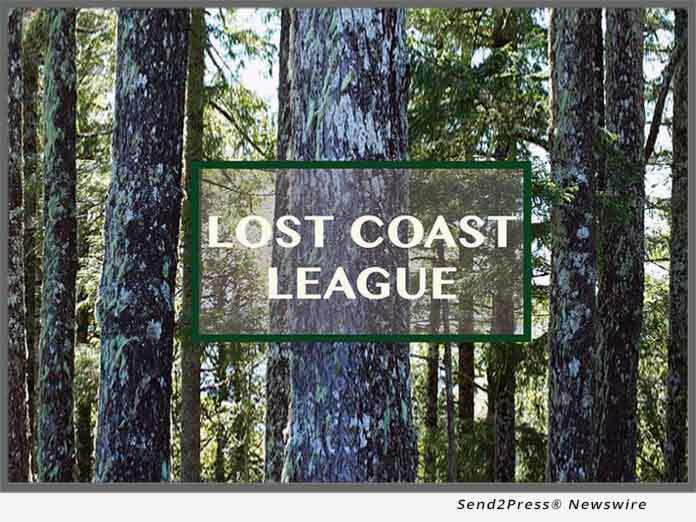 The Petrolia-based Lost Coast League (LCL) on Tuesday filed a formal grievance with SCS Global Services for certifying as sustainable a logging plan by Humboldt Redwood Co. (HRC) on untouched, primary forests in the Mattole River watershed on Rainbow Ridge. (PETROLIA, Calif.) -- NEWS: The Petrolia-based Lost Coast League (LCL) on Tuesday filed a formal grievance with SCS Global Services for certifying as sustainable a logging plan by Humboldt Redwood Co. (HRC) on untouched, primary forests in the Mattole River watershed on Rainbow Ridge. SCS has contracted to review timber companies' practices for the Forest Stewardship Council (FSC) certification program. Firms awarded certification are allowed to brand their lumber as coming from sustainably managed lands. This can bring companies higher prices per unit at lumber yards and preferred market positions. In the grievance letter the LCL contends that cutting those old forests is a violation of FSC standards, which restrict "sustainable" production to previously managed forests and prohibit the conversion of old, mature forests to plantations. Secondly, the LCL letter cites FSC standards that require HRC to "use integrated pest management and silviculture systems which avoid, or aim at eliminating, the use of chemical pesticides," clearly limiting herbicide use to what LCL terms "extreme and exceptional circumstances." According to LCL President Ellen E. Taylor, "Our efforts to resolve this issue directly with the company have been extensive and fully exhausted. For this reason we seek resolution through the dispute resolution process afforded under SCS and FSC policy." The League's David Simpson added, "There is a wide community interest in seeing the health of the Mattole watershed restored. Since 1980 many resident landowners, together with state and federal agencies, have committed enormous private and public resources to moving the restoration process forward. "Logging Rainbow Ridge's native forests cannot qualify as sustainable under any reasonable criteria, especially under FSC's published standards, and would only serve to set back the gains our community's restoration efforts have made."